Blood pressure difference between arms may be a sign of increased cardiovascular disease. If you check your blood pressure using the same arm, you may not be getting a clear picture of your health. Research has found that blood pressure differences between arms could be due to narrowing of an artery in one of the arms – which is a sign of atherosclerosis, a dangerous condition associated with a risk of heart attack or stroke. Researchers found that a mild difference of less than 10 mm Hg for systolic blood pressure is not clinically significant, but differences greater than 10 mm Hg could be indicative of early mortality. 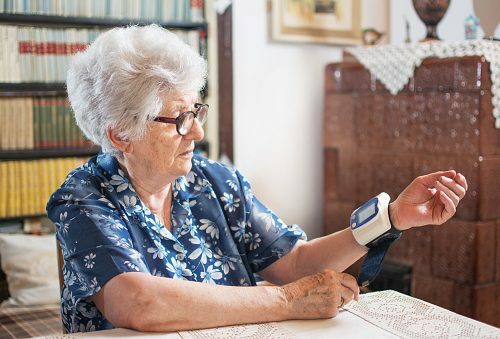 The researchers reviewed data from seven previous studies that specifically examined mortality rate in patients with systolic blood pressure differences between arms. The study involved 17,439 participants. During the follow-up period, 693 deaths occurred as a result of cardiovascular events. Mortality risk was 58 percent higher in those participants with blood pressure differences over 10 mm Hg, compared to those with differences less than 10 mm Hg. When blood pressure is normal in one arm, it does not mean that it is normal in the other arm. Checking blood pressure in both arms is a simple way of assessing your risk of cardiovascular disease. Although atherosclerosis in the arms is uncommon, when it is present, it is very likely that it is also present in more susceptible organs such as the heart. When there is a blood pressure difference between arms, see your doctor to double-check the results. If systolic blood pressure difference is confirmed, you should be referred for other tests checking for narrowing blood vessels. Aside from the differences in systolic blood pressure, there are many other factors that contribute to cardiovascular disease. You should control these other risk factors in order to reduce your risk of cardiovascular disease and early mortality. Preventative measures involve reducing stress, losing weight and managing a healthy weight, reducing your alcohol intake, not smoking, eating a healthy and well-balanced diet, reducing your sugar intake, and exercising regularly. These lifestyle habits can go a long way in improving your health and protecting your heart in the long run.